Medusa fish, hitching ride with Purple-striped jellyfish, open ocean. 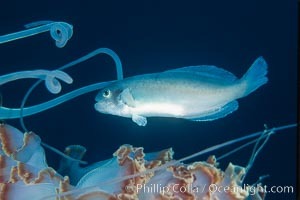 Medusa fish, Medusa sp. Photo.